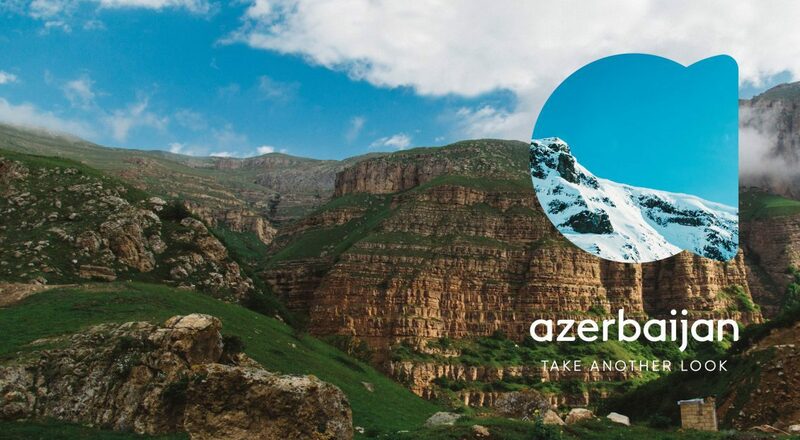 Azerbaijan, located across the Asia-Europe boundary, have unveiled their new country branding designed by Landor, in a bid to entice more visitors to discover its “untold stories and secrets” from its mountain ranges to its cultural events. 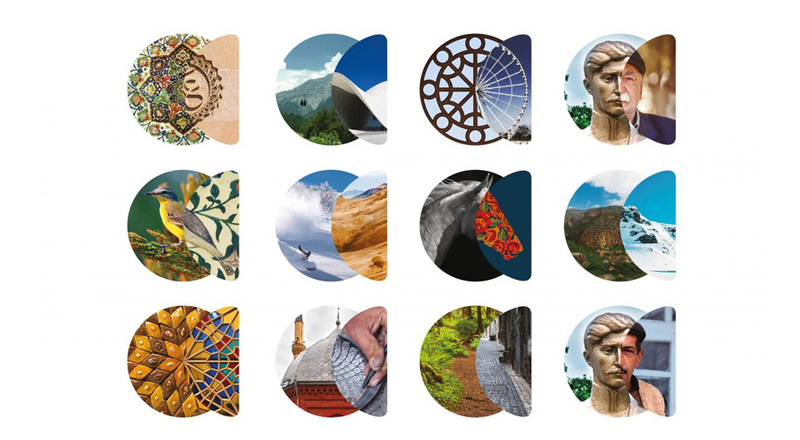 The place brand was created at Landor’s London office in an effort to boost tourism to the country and to let people know that there is more to Azerbaijan than “oil, carpets and Eurovision”. The new visual identity comprises of an overlapping circle and semi-circle which makes up both the shape of a lens and a lowercase “a”. Landor calls the device a “reveal lens” and it is to be used alongside all-lowercase, sans-serif, hand-drawn typeface with the new strapline “Take another look” which is set in all caps. The lens shape is used as a window for graphical elements, filled by imagery and photography which is dependent on where the lens appears. Its purpose is to create contrasts, either against the background it is on, or it can also be filled with two different images within itself. The shape of the lens is a symbolic look into the “untold stories and secrets” of Azerbaijan, says Landor EMEA executive creative director, Shaun Loftman. “The [graphic] device helps bring to life the brand idea ‘take another look’ by putting together two contrasting things to do see and see in Azerbaijan. Azerbaijan is relatively well-known to the Russian and Arab markets but to the rest of the world, people didn’t really know about its existence, and if they did, it was for its oil, carpets and Eurovision!” says Loftman. A palette of bright blue, green, yellow, pink and purple, used alongside white, is used for the new brand, with patterned illustrations and photos, in a reference to the country’s history of detailed patterns used on a vast variety of objects from stained glass windows to carpets. A serif typeface is used alongside the primary sans-serif typeface. A lowercase typeface style has been used to help the country feel “more consumer-focused and approachable”, says Loftman, while the palette has been influenced by traditional colours of the country, in particular its carpet trade. 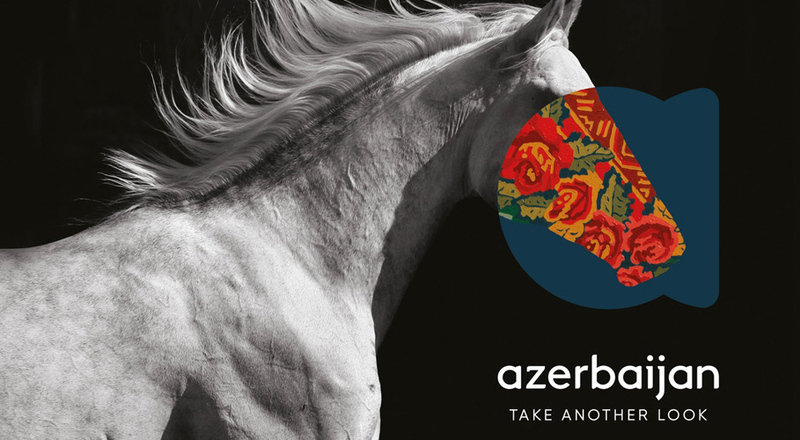 The branding has now gone live and is being introduced across all touchpoint, including food and drink packaging, posters, signage, merchandise and the Azerbaijan travel website. The project took approximately 3 months to complete and was commissioned by the Azerbaijan Tourism Board (ATB).